This pages contains information about the 2016 Transcontinental Race No4. See the Overview page for a general introduction to the Transcontinental Race (TCR). As in the previous year, the race started in Geraardsbergen, Belgium with a short loop around the town and then an ascent of the cobbled climb, the Muur van Geraardsbergen, but that was the only location used in 2016 that had been used in a previous edition. The start time was two hours earlier than before at 10pm on 29th July, 2016. The leaders managed to ride about 650 km to the first checkpoint in Clermont-Ferrand in central France in just over 24 hours. After visiting the checkpoint, riders ascended the Col de Ceyssat on the side of the Puy de Dôme, an extinct volcano. The col was used because the race had unfortunately not received permission for people to ride to the top of the volcano on the private service road. The second checkpoint was in the central Swiss Alps. Most people took the easier route to get there that crossed the Jura mountains near Pontarlier and descended down to Lake Neuchatel. Some people chose to go further south and along Lake Geneva. The Swiss checkpoint included the longest obligatory parcours ever used in the TCR, a total of 70 km with over 3500 meters of climbing going over the Grosse Scheidegg, Grimsel and Furka passes (the latter being at 2429 m elevation). The third checkpoint was at the Passo Giau in the Italian Dolomites. The shortest route to get there required going over 3 more Swiss mountain passes, each above 2000 meters elevation. Some people chose the much longer, but somewhat flatter route through the Swiss region of Ticino and then along the base of the Italian Alps. 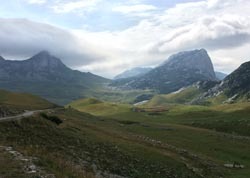 The fourth checkpoint was at a new location in Montenegro, the Durmitor National Park. There was again a variety of route choices, with most people descending down to the Italian lowlands and going via Trieste and then onto the Croatia coast, but some people went north into Austria, then through Ljubljana in Slovenia and onto Sarajevo in Bosnia. Many who rode along the coast in Croatia experienced extremely strong Bora winds that made it difficult to ride at times. This was the first edition of the race that did not finish in Istanbul, Turkey. The finish was still in Turkey, but this time it was on the Asian side of the Dardanelles channel in the town Çanakkale, which is near the site of the ancient city of Troy. Most people took a similar route between Checkpoint 4 and the finish, going via Kosovo, Macedonia, and Greece, but a few opted to stay further north through Serbia and Bulgaria. Francis Cade, an official race videographer, made 10 short videos focusing on the racers, see this playlist, plus 18 video-logs about his time following the race, see this playlist. Netwerk Geraardsbergen made a video about the start, there a few videos on the race’s official Vimeo channel and the Bike Show did a podcast after the race including interviews with Mike Hall and Emily Chappell. A French magazine, 200 has several articles about the race in the Autumn 2016 edition, including interviews with Kristof Allegaert, the first mixed pair to finish the race (Charlotte Dequevauviller & Thomas Chavrier). The editor (Alain Puiseux) wrote an article about riding the race himself; it’s all in French, but it’s one of the most beautiful reports that I’ve ever read. The number of starting places again increased, this time from 250 in 2015 to 300 in 2016, consisting of 200 solos and 50 pairs. 600 people completed the application in November 2015, and this blog post explains how volunteers, race veterans, and people who would increase the diversity of the field were given priority before a random lottery was used to assign the remaining places, with the outcome of this process being announced in late December. In the end, 216 people made it to the start line. Provisional race results were posted on the TCR website in early December 2016, and a revised version of these is available here, which is what the analyses below are based on. An “official” version of the results was not published before the race director Mike Hall passed away in March 2017, so these “provisional” results are likely to be the final ones that are published. I’ve delved deeper into the data by looking at the times taken between the checkpoints and the tracker data to understand the story and progression of each person’s race. I make comments summarizing this for all racers who finished before the party at the end of Day 15 plus several other notable racers. Times between the checkpoints are obviously affected by when each person took sleep breaks, etc. and the weather and route conditions that each person experienced, but it is still interesting to see where people gained places or lost places during the race. To view specific rider tracks, go to Trackleaders and click on an individual rider’s name or click on the T button at the top of the map to show all tracks. My comments about each rider’s race are based purely on the publicly available data and are kept as neutral as possible. Every racer has a far richer story to tell, and fortunately many of them have shared that by writing race reports, blogs, podcasts, videos, etc. I have given links to as many of these as I can find – click on the riders’ names that are in green to view their reports. If you know of a race report that I haven’t linked to then please Contact Me. I’ve given preference to post-race summaries over Facebook and Twitter posts, but have included the latter when nothing else was available. The reports are mostly in English, but there are a variety of other languages. There are five tables below, organized based on the classification of the racers. The positions and times at the finish include all penalties. Times taken between the intermediate checkpoints do not include the penalties. You can click on a link to skip directly to a certain table. 84 of the finishers were classified as “Solos”: “riders who started and finished as individuals without receiving outside assistance”. In the results table below, intermediate rankings are shown in the “Rank at CP …” column, but to make relative progress through the field much easier to track, this data only includes the 84 solos. Pairs, people who finished but were unclassified, and people who passed the checkpoint but did not finish are not included in these rankings. In the “Comments” column, “overall” positions and positions in each intermediate segment between checkpoints are calculated based on all people who passed those checkpoints (meaning 205 people for Start-CP1, 183 for CP1-CP2, 158 for CP2-CP3, 141 for CP3-CP4, and 138 people for CP4-Finish). In contrast to the official results, pairs are counted as taking two positions in the overall rankings instead of one. 1 8d 18h 02m 3: Kristof Allegaert, Video 1-1-1-1-1 Kristof arrived 1st at all checkpoints and the finish. In the individual segments, he was only 1st for the Start-CP1, but was never worse than 4th in any segment. He made some route choices that were different from most other people: after CP3 he went through Austria and then into eastern Croatia and went through Bulgaria to reach the finish. 2 9d 22h 43m 172: Neil Phillips, Video 3-5-5-2-2 Neil achieved his 2nd place finish by being 3rd or 4th in three of the five segments, which were Start-CP1, CP3-CP4, CP4-Finish. 3 10d 00h 51m 60: Carlos Mazón, Video 4-3-2-3-3 Carlos’ best segment was CP3-CP4, with the 5th best time, but was also in the top 10 for the Start-CP1, CP1-CP2, and CP4-Finish segments, so it was his consistency that got him onto the podium. A landslide caused the road that he tried to take to CP3 to be closed, so he lost at least one hour doubling back and finding an alternative. 4 10d 05h 31m 75: James Hayden, Video 2-39-12-4-4 James arrived at CP1 in 3rd place overall, but then had to take more than a day off to recover from an illness. He then had two fastest segment times: CP2-CP3 and CP3-CP4, which moved him back from 61st overall to 4th. Between CP2 and the Finish, he was only 5 hours slower than the winner, Kristof. 5 10d 10h 32m 77: Peter Sandholt 13-4-3-5-5 Peter got to CP1 in 18th overall and then had the 2nd best segment time for CP1-CP2, moving him into 6th place overall; he then backed that up by having the 10th best segment time for CP2-CP3 and finished in 5th place. 6 10d 18h 32m 80: Nelson Trees 5-6-7-8-6 Nelson arrived at CP1 in 7th place then did a consistent ride to hold a similar position throughout, including having the 8th best segment time for CP3-CP4, during which he was one of several people who rode the full length of central Bosnia, including riding through Bihac and Sarajevo. 7 10d 21h 30m 93: Geoffroy Dussault, Blog 29-27-13-6-7 Geoffrey started relatively slowly for the first two segments (37th and 35th overall). He entered Switzerland further south than most people, then went via Lausanne and climbed over the Juan pass before arriving at CP2. He then had the 3rd best time for CP2-CP3 and the 4th best time for CP3-CP4, which moved him into the top 10. 8 11d 00h 32m 4: Ultan Coyle 9-9-6-7-8 Ultan’s best segment was CP3-CP4, for which he had the 8th fastest time. He lost two places in the final classification due to penalties. He appeared to miss a turn on his way to CP2, after Pontarlier he had to double-back on his route, losing about 1 hour. 9 11d 06h 50m 168: Vincent Muhlethaler 20-10-8-9-9 Vincent started steadily, arriving in 25th place overall at CP1 (and appeared to get a bit confused in Reims on the first morning), but then moved up with the 8th best segment time for CP1-CP2 and held onto his position after that. 10 11d 06h 50m 72: Michael Wacker 16-12-11-10-10 Michael was reasonably steady throughout, with his best segment being the 10th best time for CP3-CP4, during which he used the direct, dirt road border crossing into Montenegro that quite a few people used but some did not make it across and had to find a different route. 11 11d 08h 58m 133: Daniel Fisher 15-19-14-17-11 Daniel was around 20th overall throughout the race up to CP4, but then made a big push, getting the best segment time for CP4-Finish, but still just missed out on a top 10 finish. 12 11d 09h 26m 154: Matthew Falconer 12-24-15-11-12 Matthew arrived at CP1 in 17th place overall, but lost places when he took a hillier route to CP2, climbing to a higher altitude in the Jura mountains than anyone else, entering Switzerland via Col de la Givrine. He subsequently made up places by having the 8th best time for both CP2-CP3 and CP4-Finish. 13 11d 16h 30m 84: Samuli Mäkinen 18-20-19-12-13 Samuli’s best segment was CP3-CP4, with the 13th best time. He crossed Switerland using a slightly unusual route, going through Yverdon and Fribourg. 14 11d 18h 46m 12: Stephane Ouaja 19-11-16-16-14 Stephane twice had a segment time in the top 10 (9th for CP1-CP2 and 7th for CP4-Finish), but lost several hours hiking over a mountain in Switzerland on his way to CP3. 15 12d 00h 26m 142: Stuart Birnie 10-8-10-13-15 Stuart reached his best placing of 12th overall at CP2, and was reasonably consistent throughout. He was the first racer to chose the longer but flattest option between CP2 & CP3 south of the Alps. 17 12d 05h 27m 166: Michal Wolff 24-23-18-15-17 Michal must prefer the mountains to flat roads because his best segments were CP2-CP3 and CP3-CP4, having one of the top 20 best times in each. He chose to approach CP3 using the long traverse of Bosnia from Bihac. 18 12d 05h 28m 66: Frank van der Sman 8-14-22-20-18 Frank appears to prefer the flatter parts of the course: He arrived at CP1 in 11th place, dropped backwards during the middle, mountainous part of the route, then had the 6th best segment time for the relatively flat CP4-Finish. He took the typical Alpine route between CP2-CP3, but avoided the tunnels on the approach to the Albula pass by taking the longer and more difficult route via Chur and then climbing past Lenzerheide. 19 12d 10h 32m 171: Jacopo Porreca 28-29-17-18-19 Opposite to Frank, Jacopo had his best segment in the most mountainous part of the route, with the 6th best time for the segment across the Alps: CP2-CP3. After arriving at the start of the mandatory parcours for CP4 in Montenegro, he went the wrong way and lost more than an hour riding in the wrong direction and back again. 20 12d 14h 30m 89: Joe Todd 25-17-25-19-20 Joe achieved an excellent finishing position for the second year in a row and was again the TCR’s youngest participant. 21 12d 14h 44m 144: Andrew Sallnow 7-7-9-14-21 Andrew was in the top 10 for most of the first half of the race despite climbing the Stelvio Pass twice, once from the Swiss side almost to the top, and then from the Bormio side all the way over! He then had several border crossings problems in the Balkans. He took a total of about 16 hours to get through the short stretch on the Bosnian-Montenegran border due to approaching the border from different directions three times before finally making it through on the direct dirt road. When leaving Kosovo, he lost several more hours when he tried to enter Serbia, but was turned away and so had to re-route into Macedonia (this is due to an odd Serbian rule caused by them not recognizing Kosovo as an independent country). 22 12d 15h 51m 91: Ryszard Deneka 41-25-27-24-22 Ryszard rode most strongly in the CP1-CP2 segment, where he gained a lot of places, and after that consistently held his position. He was one of many people who chose to cross the Dardanelles straight in Turkey at Gallipoli, and so approach the finish from the Asian side instead of staying on the European side of the straight for longer like the majority of people did. 23 12d 16h 01m 26: Björn Lenhard 6-2-4-23-23 Björn arrived at CP1 in 9th place overall and had the best segment time from CP1-CP2, moving him into 2nd place. However, after CP3 he had to take more than a day off to recover from an illness, but was still able to finish with a very respectable time. 24 12d 18h 38m 42: Zbynek Simcik 26-28-20-22-24 Zybnek held a solid pace throughout, with a similar position at all checkpoints. He was one of the people who entered Montenegro using the most direct way over the minor dirt road in the mountains near CP4. 25 12d 20h 36m 24: Chris White 54-33-28-26-25 Chris arrived at CP1 in 83rd position overall, but then gained over 30 places before reaching CP2, and continued to gain a few places at each CP. He used the more northerly option after CP3 via Austria and was the only one to use a hillier route through part of Greece, coming into Xanthi via the foothills of the Rhodope mountains. 26 12d 22h 52m 140: Stefan Slegl 30-21-26-27-26 Stefan had the 14th best segment time for CP1-CP2, after which he achieved his highest overall position, but then fell back slightly. His route from the Start to CP1 may have been one of the shortest because it was very direct, but probably involved more climbing than more popular options. 27 13d 00h 30m 46: Jürgen Knupe 21-13-21-28-27 Jürgen was around the top 20 overall for the first half of the race, but lost some places in the second half. He chose the longer, but flatter route south of the Alps to get to CP3, then after CP3 he went via Austia. 28 13d 02h 29m 175: David Winton 56-40-38-29-28 David followed a similar pattern to Chris White: Started steadily, gained a lot of places between CP1 & CP2, then continued to gain some places at each CP. Between CP2 & CP3, he opted to stay mostly south of the Alps. 29 13d 03h 59m 167: Urs Arnold Kutschera 46-30-31-34-29 Urs was another person who gained a lot of places between CP1 & CP2, but after that consistently held his position. After CP3, instead of going north via Austria or south via the Italian Adriatic coast, he stayed in the Italian Alps until crossing into Slovenia, then went via Zagreb. 30 13d 04h 05m 14: Jack Thompson 34-18-30-38-30 Jack had a very mixed race. He had the 7th best time from CP1-CP2 (despite taking a far more southerly route than most people), and the 4th best time from CP4-Finish (when he chose to go via Bulgaria). However, he was a lot slower in the other sections, causing him to only just finish inside the top 30. 31 13d 04h 46m 30: James Mansell 47-36-32-30-31 James had a solid race, slowly moving up the rankings at almost every checkpoint. His tracker data is not available. 32 13d 08h 33m 32: Patrick Miette 49-54-47-31-32 Patrick had the 11th best segment time for CP3-CP4, during which he used the most popular option via Trieste, Rijeka, and Mostar. 33 13d 10h 28m 7: Emily Chappell, Video 27-31-24-25-33 See females below. 34 13d 10h 28m 155: Frank Proud 31-38-39-35-34 Frank’s worst segment was CP1-CP2, but he was otherwise reasonably consistent. He stayed south of the Alps for as long as possible between CP2 & CP3. 35 13d 11h 23m 82: Max Kraus 33-34-34-32-35 Max was one of the most consistent mid-pack riders, holding a similar position throughout the race. 36 13d 17h 53m 162: Rudy Rollenberg 32-49-49-39-36 Rudy started reasonably strongly, but then lost a lot of places between CP1 & CP2, but got most of them back before the end of the race. 37 13d 17h 57m 19: Mike Sheldrake 48-44-42-36-37 Mike is a three-time veteran of the race, and showed his experience by keeping a consistent pace and gradually moving up through the field. 38 13d 21h 28m 163: Bela Kuzler 36-22-29-33-38 Bela had a very good segment from CP1-CP2, but a very slow segment CP4-Finish. 39 13d 23h 42m 17: Anton Lindberg 40-46-46-42-39 Anton’s pace was reasonably consistent throughout the race. Between CP3-CP4, he went further east than anybody, almost reaching Hungary. 40 14d 01h 05m 11: Jack Keevill 68-56-37-43-40 Jack must love the mountains because the only person who gained more places than him between CP2 & CP3 was James Hayden. He then lost a few places between CP3 & CP4 due to climbing a few more mountains than most others before leaving Italy. 41 14d 03h 42m 37: Jeff Liu 22-35-43-41-41 Jeff was in the top 30 overall at CP1, then lost some places getting to CP2 and again to CP3, but then held his position for the second half of the race. 42 14d 05h 29m 159: Charles Batho 59-51-53-46-42 Charles improved his position reasonably consistently throughout the race. Between CP1 & CP2, he went much further north than most people. 43 14d 05h 35m 67: Paul Buckley 14-16-36-47-43 Paul was in the top 20 overall at CP1 & CP2, but had problems in the more mountainous part of the course, with a slow time in the CP2-CP3 segment and stopped in Croatia for 24 hours due to the extreme Bora wind on the coast, but finished reasonably strongly. 44 14d 10h 29m 151: Fabian Rabe 63-62-50-50-44 Fabian improved his position consistently throughout the race. He lost many hours when trying to use the direct approach to CP3 via the dirt road, but turned around and went back to the more southerly border crossing that he had previously been heading towards. 45 14d 15h 25m 44: Mikko Mäkipää 42-50-40-37-45 Just like in the previous three races, Mikko did his own thing. His only goals are to comfortably reach the finish in time for the party and to ride through as many interesting areas as possible along the way. As always, he successfully achieved both, including going via St Moritz and then over the legendary Gavia pass in Italy between CP2 & CP3, which is higher than any of the required climbs; after CP3 he was one of just a handful of people who went via Austria. 46 14d 15h 50m 137: Dragan Mladenovic 17-26-35-40-46 Dragan was in 22nd overall at CP1, but then lost places at each subsequent checkpoint. He used the Austrian option after CP3 and approached the finish from Bulgaria. 47 14d 16h 25m 41: Eyvind Bergström 38-57-54-49-47 Eyvind dropped a lot of places between CP1 & CP2, then regained some but not all of them. His tracker data ia not available. 48 14d 16h 45m 73: Mindaugas Sasnauskas 64-64-56-48-48 Mindaugas was outside the top 100 overall when he reached CP2, but then gradually moved up through the field. On his way to CP2, he spent more time in the French Jura that most other people,. including riding up the scenic gorge of the Ain river. 49 14d 17h 04m 96: Robert Quirk 57-58-70-51-49 Robert only had 2 hours of penalties, but that caused him to lose four places in the final classification. 50 14d 17h 05m 145: Mehmet Sertaç Ünal 50-48-66-52-50 Mehmet had a reltively slow trip across the Alps from CP2-CP3, where he took one of the longer options via Davos and the Fluela Pass, but was otherwise reasonably consistent. 51 14d 20h 18m 114: Darren Franks 11-15-33-64-51 Darren was in the top 20 overall at CP2, but then had a lot of problems that slowed him down between there and CP4, falling back to 94th overall. When the finish line was in sight, he sped up again, getting the 14th best segment time from CP4-Finish. 52 14d 20h 25m 124: Ben May 55-77-69-57-52 Ben had some problems that caused him to have one of the slowest times between CP1 & CP2, but he was able to re-group and gradually regained the positions that he’d lost by the time he reached the finish. After CP3, he was one of the people who took the more northerly route via Austria. 53 14d 21h 18m 57: Michal Plech 39-47-41-56-53 Michal had a reasonably consistent pace throughout. He was one of several people who tried to enter Montenegro via a minor border crossing that is only open to locals. None of those people appeared to be alllowed through (even though many people made it through the nearby unmanned border on the dirt road), and so he had to turn around and find an alternative border crossing, which lost him several hours. 54 14d 21h 32m 146: Chris Dennis 69-60-67-54-54 Chris was outside the top 100 overall at CP3, but was stronger in the second half of the race to arrive in time for the finish party. He was one of several people who used a more westerly approach to CP1, spending some time riding along the flat Loire river valley. 55 14d 23h 31m 104: Andrew Brogan 51-45-44-45-55 Andrew had been riding reasonably consistently, then had a slow segment from CP4-Finish, but he still kept a good enough pace to be the last person to reach the finish before the official end of the party and so be awarded the coveted maglia nera / black jersey. 56 15d 00h 27m 64: Joshua Rea 23-37-45-58-56 Joshua started strongly, in the top 30 overall at CP1, but gradually lost ground throughout the rest of the race. He arrived before the finish party, but lost 3 places in the final classification due to penalties. 58 15d 03h 35m 141: Johanna Josten-van Duinkerken 53-55-57-53-58 See females below. 62 15d 16h 45m 110: Andi Buchs 75-68-63-66-62 Andi deserves special recognition as this year’s toughest guy of major bikepacking races, having completed the Trans America Bike Race (about 7000 km) about one month before doing the Transcontinental Race (4000 km), both in very respectable times. He was one of only a few people who took the Julier pass between CP2 & CP3 instead of the far more popular Albula Pass. 68 16d 01h 47m 5: Jayne Wadsworth 44-43-48-67-68 See females below. 84 27d 13h 24m 92: Cheng-Hui Hsieh 84-84-84-84-84 See pair #228. Females are included in the overall solo classification above, but are also classified separately below. Intermediate positions are first given within females only and then in brackets the overall solo classifications from above are repeated. (27-31-24-25-33) Emily was the 1st female to arrive at all checkpoints and rode strongly and steadily until CP4. She then chose a longer route to the finish than most other people, via Albania, but she maintained her position as the 1st female. (53-55-57-53-58) Johanna was one of the most consistent mid-field racers in the general solo classification. In the females classification, she moved up from 4th at CP1 to finish 2nd, but unfortunately arrived just a couple of hours after the finish party ended. (44-43-48-67-68) Jayne was the 2nd solo female all the way up to CP3, but had one of the slowest times for CP3-CP4, possibly due to staying along the very windy Croatian coast for much longer than most other riders. She finished the 2016 race as the 3rd solo female after having been the only female finisher in 2015. Intermediate positions are given out of all pairs that finished and were classified. 1 11d 19h 39m 212: Andrew Boyd & James Stannard 1-1-1-1-1 Andrew & James were the first pair to finish and rode strongly throughout the race, including having the 4th best time of anyone for the Alpine CP2-CP3 segment. 2 12d 12h 57m 226: Christian Schaefer & Peter Tannenberger 2-2-2-2-2 Christian & Peter’s best segment was CP3-CP4, where they had the 15th best segment time of anyone while using a route via Austria and Zagreb. This solidified thieir position as the 2nd pair. 3 12d 21h 53m 225: Bernd Frick & Josef Frick 4-4-3-3-3 Bernd & Josef steadily moved up the overall rankings as the race progressed and finished as the 3rd pair. Whereas almost everyone used the same route to cross Montenegro after CP4, Bernd and Joseph found an alternative that avoided the town of Berane and instead used an extremely small road in the mountains that slowed them down a bit. 4 13d 11h 57m 216: Luigi Burini & Luca Colonetti 6-6-5-4-4 Luigi & Luca also moved up steadily through the overall rankings and in the pairs. There were many ways to approach CP3, these Italians chose one of the more scenic options, via the Fedaia Pass. 5 13d 19h 26m 204: Charlotte Dequevauviller & Thomas Chavrier 3-3-4-5-5 Charlotte & Thomas started really strongly, were passed by a couple of other pairs during the race, but then held on to finish in a respectable time with Charlotte being one of only two females to finish before the party. 6 14d 11h 15m 168: Burkay Günay & Muammer Yildiz 11-8-8-6-6 Burkay & Muammer were the first Turks to reach the finish. 7 14d 17h 29m 211: Adam Krabbe & Max Lindberg 8-7-6-8-7 Adam & Max had a reasonably consistent pace throughout, but lost some time when they got turned back at the locals-only border crossing between Bosnia and Montenegro. 8 14d 23h 18m 215: Daniel Welch & Michael Cannon 5-5-7-7-8 Daniel & Michael started quite strongly. They dropped a few places in their category during the race but were still able to finish before the party. 16 27d 18h 24m 228: Alberto Varni & Mattia Biffi 16-16-16-16-16 Alberto & Mattia appeared to party their way across Europe, entertaining people on social media as they went. Only once, at CP3, did someone pass the checkpoint after they did. Towards the finish, they joined up with the last solo finisher, #92 Cheng-Hui Hsieh, and the three of them finished the race together, 13 days after the official party. Despite crossing the finish line in a certain position, these racers are unclassified due to starting in a pair and finishing as a solo, starting as a solo but riding a significant portion of the race with another racer, or due to receiving outside assistance. Comments are made for everyone who finished before the party. Intermediate positions for these riders are given out of all 216 starters and they are listed alphabetically. 11d 14h 57m 223: Sylvain Blairon 56-39-26-14-13 Sylvain was the 13th person to arrive at the finish, but he couldn’t be classified because he was in a pair for the first day with a partner who began the race with an injury. He had the 9th best time from CP1 to the Finish, so probably would have finished in the top 10 if he had started the race in the Solo category. 14d 18h 18m 230: Jorne Bluekens & Toon De Keyser 166-124-89-85-74 Jorne & Toon took the intermediate option between CP2 & CP3, which was one of their strongest segments: they headed south through Ticino but instead of going completely south of the Alps, they went around the northern end of Lake Como and then over the Aprica pass. They finished the race strongly with a good time for the final segment from CP4-Finish. 12d 22h 52m 173: Craig Boddice 61-49-54-36-35 Craig was one of several people who took the more westerly route between the Start & CP1. This was slightly longer but involved less climbing with a long section along the Loire river. In Croatia, he stayed on the Croatian coast for longer than most people. 13d 17h 56m 21: Adrien Dugoujon 82-75-69-47-50 Adrien avoided riding directly along the coast near Rijeka in the wind by staying higher up in the hills instead. He did finally join the Adriatic coast a lot later, not long before reaching CP4. This unconventional route worked well for him because CP3-CP4 was his fastest section, with a time inside the top 20. 14d 19h 27m 221: Richard Egan 151-133-109-88-76 Richard started in a pair with Thomas Quinn, but they arrived at CP1 several hours apart and Thomas scratched soon after that. 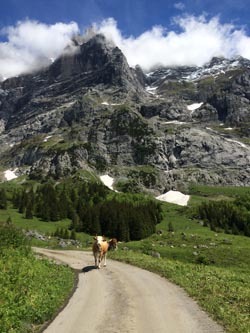 To get into Montenegro, Richard took the direct route to CP4 via the small dirt road pass. 12d 20h 36m 70: Benedikt Hartmann 49-38-30-22-30 Benedikt rode consistently thoughout the first half of the race, then had a segment time in the top 20 for CP3-CP4, followed by a much slower segment from CP4-Finish. 13d 22h 42m 210: George Marshall 85-96-67-52-56 George started the race in a pair with Joseph Duffy, but continued solo after Joseph scratched between CP1 & CP2. He then rode strongly and picked up many places, but lost some time on the final segment, partly due to bike problems. 14d 17h 05m 147: Pierre Nicolle 59-56-51-63-70 The first half of Pierre’s race was very solid, but he lost some places during the second half of the race. This was partly because he tried to go from Macedonia to Kosovo via a very minor mountain pass that people from previous TCRs have had wild stories about. He had to turn around partway up and headed back to the more popular route from Rozaje to Pej instead. 13d 05h 32m 218: Gualtiero Rossano 39-29-38-41-41 Gualtiero and his partner Alberto Vaghi were the 1st pair to reach CP2. After CP3 they took the northern option via Austria, but Alberto scratched in Bosnia, so Gualtiero continued solo. He tried to take the final of the three ferry crossings across the Dardenelles towards the finish line but arrived in the night when the ferries from Kilitbahir weren’t running, so he had to ride back to Eceabat to get the ferry from there instead. 13d 11h 37m 62: Karl Speed 48-48-56-39-46 Karl chose the flatter, southerly option between CP2 & CP3. He then took the direct route to CP4 via the small dirt road pass, which helped to make the CP3-4 section his strongest. He tried to take a shortcut north of Alexandroupoli in Greece, but it turned out to be a very poor road and he suffered some bike problems that forced him to visit Alexandroupoli anyway, which lost him several hours. 13d 19h 57m 59: Dario Valsesia 77-44-35-53-54 Dario took a rather indirect route through Bosnia and Montenegro, which appeared to cost him some time as the CP3-4 segment was his slowest and he lost many of the places that he had gained during his strong CP1-2 and CP2-3 segments. Intermediate positions are given out of all 216 starters. “x” = Checkpoint where the racer was first registered as having scratched. Comments are made for people who were in the top 10 at some point and for people who publicly reported their reason for scratching. Riders are ordered based on the number of checkpoints reached, then by the poistion at the last checkpoint, then alphabetically. 2: Alex Bourgeonnier 5-3-8-5-x Alexandre was in the top 10 throughout the race, but scratched after reaching CP4 in 5th place. 56: Hans-Rudolf Nyfeler 15-8-2-x Hans-Rudolf was 15th at CP1, then recorded the 5th and 7th best segment times for CP1-CP2 and CP2-CP3, respectively, to move him into 2nd place at CP3, but then scratched from the race. 150: Mathias Dalgas 16-5-4-x Mathias had the 3rd best segment time between CP1-CP2, but scratched after CP3, when he was in 4th place. 105: Matija Ilic 8-11-10-x Matija was in the top 10 until scratching after CP3. 29: Franziska Kühne 176-162-143-x Franziska started reasonably well, but began to struggle more and more as the days went on. In Austria, she finally figured out why her body wasn’t functioning as normal – she was pregnant! It’s probably the happiest reason that anyone has ever had to scratch from the TCR. 152: Rishi Fox 143-150-x Rishi had problems with digestion and dehydration throughout the early part of the race. The heat in Italy unfortunately caused her race to end in an ambulance. 117: Lionel Bobb 193-174-x Lionel scratched due to Achilles problems. 81: Demian Barlaro 195-180-x Demian scratched in Italy due to knee, Achilles, and health problems. 15: Bernd Paul 2-x Bernd arrived at CP1 in 2nd place, but just like in 2015, he scratched from the race soon after due to a sun allergy. 132: Xavier Pesnel 29-x Xavier scratched after CP1 due to knee problems. 36: Dominik Möller 174-x Dominik scratched in Switzerland due to knee problems. 229: Lamri Adjis 179-x Lamri scratched after CP1 due to knee problems. 129: Robbrecht Desmet 183-x Robbrecht scratched in Switzerland due to knee problems. 1: Josh Ibbett x Josh was the defending champion but had back problems that caused him to scratch during the first day. 223: Bruno Le Bras x Bruno had to stop during the first day due to a pre-existing medical condition. 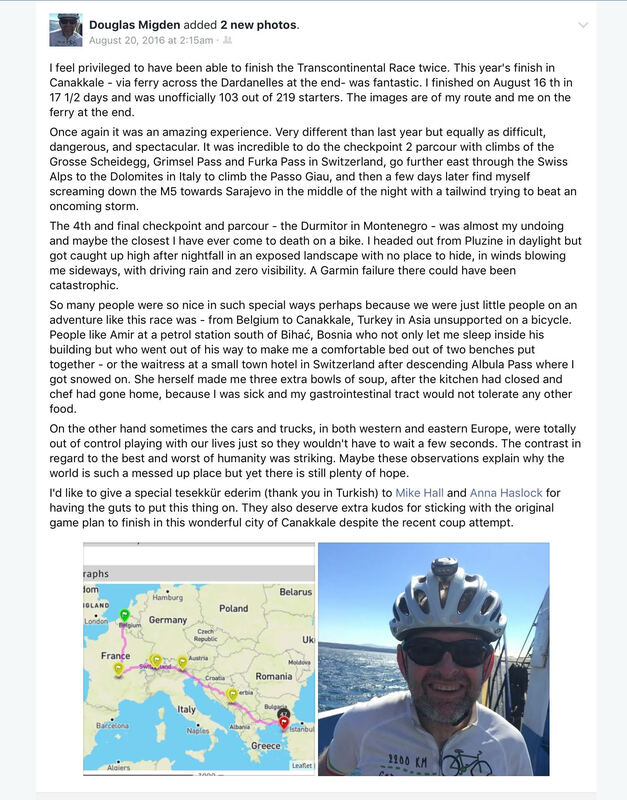 And finally, a report from a checkpoint volunteer, George Bennett. This page is in the Transcontinental Race section. The next pages covers TCR No5, 2017.